This summer both mum and my sister were using CC creams, I’d always wanted to try one but didn’t want to spend a lot on one and thought I’d stick with a brand I know so I ended up buying this Sleek CC cream. 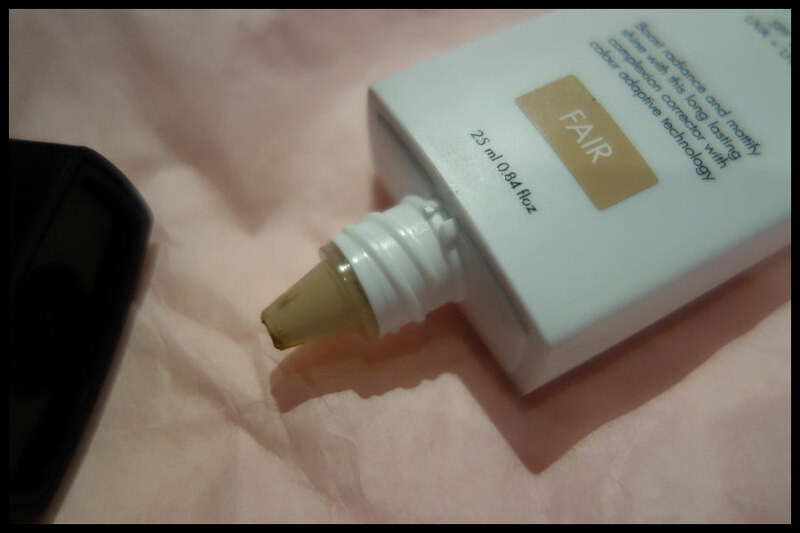 I chose fair as I’m pale and their BB cream was a good match for my pale skin so I thought this seemed like a good one to try as a first CC cream. I know CC and BB creams tend to be a bit more blendable and adapt to your skin colour but I’ve still found that some seem rather dark when I use them. This costs £8.99 for 25ml so it’s not the cheapest but it’s still in the drugstore category for me as it’s under £10. It’s on Superdrug, Boots and their own website, I got it from Boots with their advantage card points. I’ve had it a month or so and have used it a few times to see what it’s like. It claims to be mattifying with colour corrective technology, though a lot say that, and has SPF 29. The tube itself is nice, it’s not the most expensive looking packaging but it’s strong and it’s easy to get the product out of, at least at the beginning though I have a feeling with the shape it may get harder towards the end. The lid twists on and off and clicks in place to hold it shut, the shape of the tube having the rectangular end also means it’s less likely to come off in a bag. The opening the product comes out of has an unusual design for makeup, at least in my experience, though it does show the product though the clear part and it’s very precise with the amount you get out so you’re not likely to waste any. The colour of this one is really nice, the fair colour can sometimes either still be a bit yellow or a bit pink but this one is a nice neutral colour. If anything I’d say it was cool toned, a bit darker than I was expecting but this disappears when I blended it into my skin. The product also smells nice, which feels like an odd thing to say about a face product, it smells like a face cream rather than makeup though it’s the sort of smell you get in ‘unscented’ products. The smell goes away pretty quickly, within five minutes I couldn’t smell it. 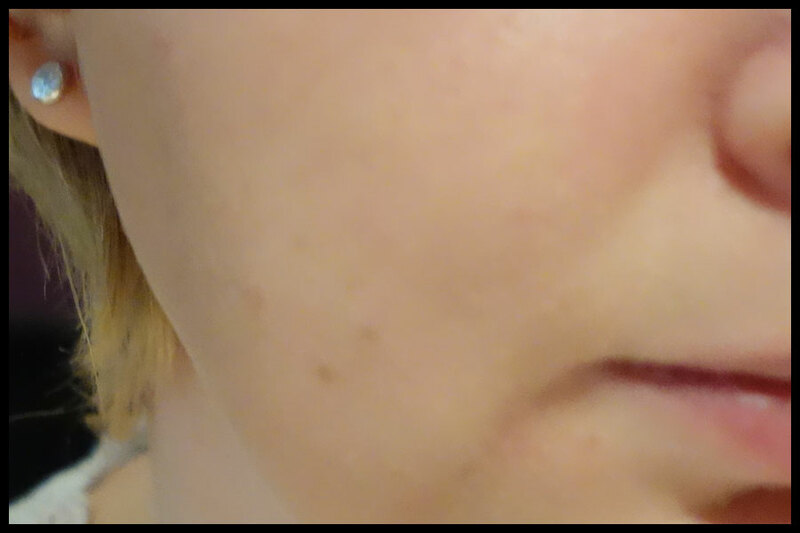 Coverage from this CC cream is good, I’d say it’s probably around medium coverage if it was a foundation. It does build up ok but after the first layer adding anything else made it more obvious I was wearing makeup. 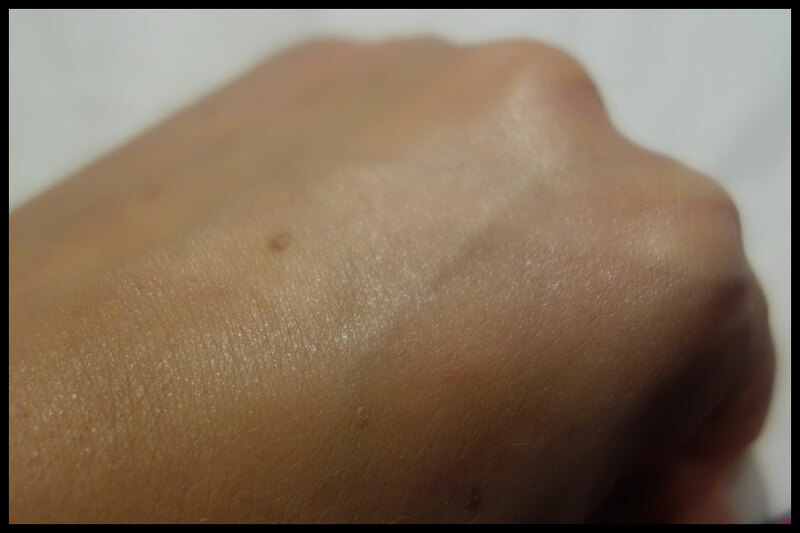 I tried it on the back of my hand as well and it covered the mole on there pretty well, not that I really want them to be covered but I find it a good way to tell the coverage. It blends really well and did seem to even out the skin tone as, when I tried it for photos, my skin was a bit pink and this covered it really well without it being too obvious I was wearing makeup. I tried this with a brush and, to be honest, the coverage was too much for me, it looked a bit caked on and it didn’t seem to work with either a buffing brush or foundation brush. 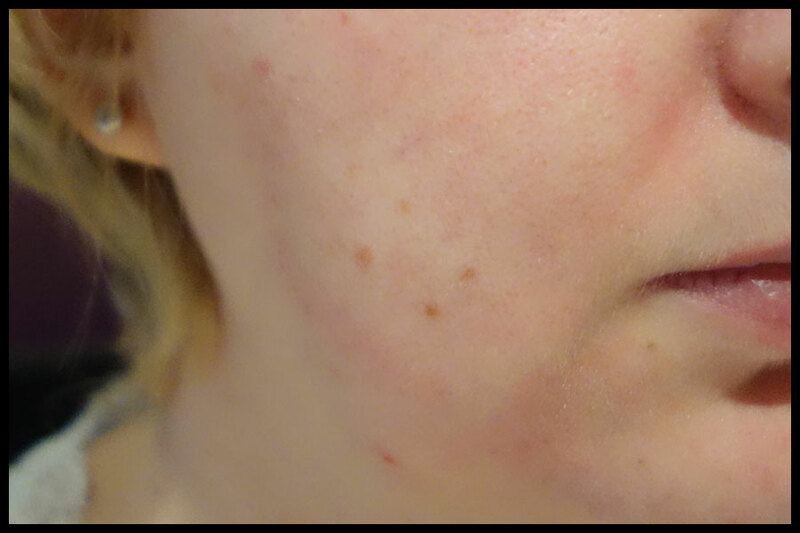 With my fingers the results were much better, it covered my skin evenly and was very quick to apply and blend into my skin. 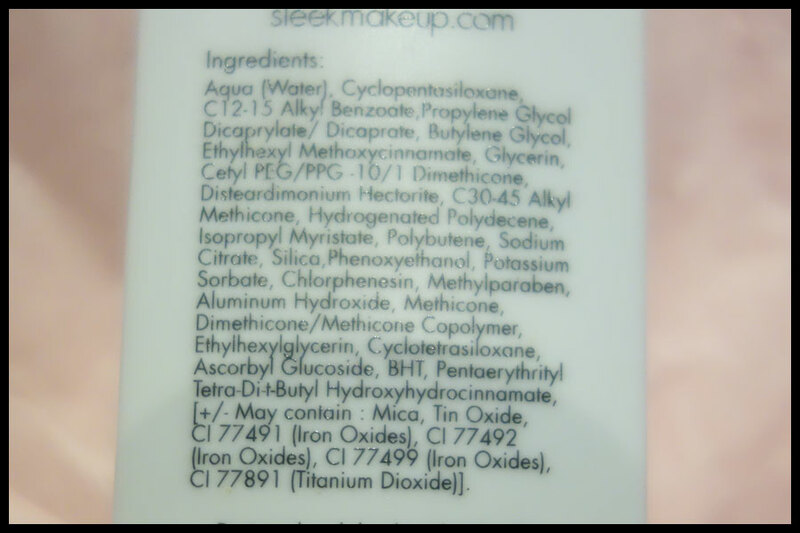 I have found that, rather than a mattified effect, it has a bit of a sheen to my skin after using just this. It does leave a good base for a foundation, my elf powder foundation worked well on it and lasted better than with previous bases I’ve tried. On its own it took a long time to dry, it stayed tacky for a while and it never felt truly dry to me. It did stay well, five hours on in the warmth it was still there but without the powder on top it felt unfinished. The first time I used it my skin wasn’t in the best condition, it looked ok normally but even with moisturiser on before this clung to any tiny bit of dry skin and made it so obvious. I found that I had to make sure my skin is in great condition to use it, my skin isn’t dry but does get dry patches at the tops of my cheeks which were highlighted by this product. I’d say this is a product that’s only good if you don’t have any dry patches, or just drier patches, and would probably work better for normal to oily skin. It’s a fairly thick product, definitely thicker than most face creams I’ve used, and feels like it might make oily skin worse but I’m not sure as my skin is acne prone and there have been no breakouts after trying this. I think it’s meant to be for all skin types but if you find that thicker products cause you problems then this may not be the best for you as it seems to leave a layer on the skin rather than going into it like some products do. Overall I’m pretty happy with this. Considering I haven’t used any other CC creams I don’t have any to compare it to I think this is a good one. It will definitely only be one that I’ll use when my skin is in good condition, I’ll probably only really use it when I want more coverage as in general BB cream is enough coverage for me. T here’s none of the film that you get with some products, it doesn’t feel like you’re wearing makeup which is always good for me as I don’t like that feeling. If you want a nice CC cream that’s cruelty free, especially if you have pale skin, then I’d recommend this one to at least have a look at in stores and try the tester out. It’s easy to use, blends well and has pretty good coverage. It’s a fair price for a CC cream and works well as a base for others as well as possibly working as a product on its own. I’m pretty impressed with this now my skin’s cooperating and I’ve got the skincare routine working for me. I’ll definitely be giving it another go and see how I can get it to work for me but when my skin’s flaring up and looks a bit pink I think it’ll be a good cover.